With a stay at Hotel Palazzetto Rosso, you'll be centrally located in Siena, just a 4-minute walk from University of Siena and 6 minutes by foot from Piazza del Campo. 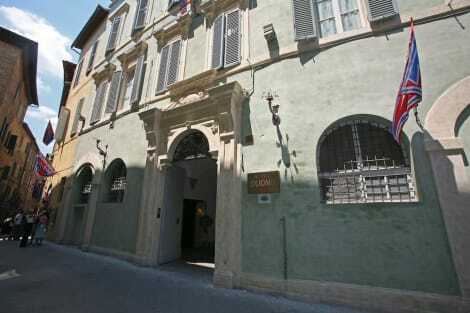 This hotel is 0.4 mi (0.6 km) from Siena Cathedral and 2.1 mi (3.4 km) from Santa Maria alle Scotte Polyclinic. Make yourself at home in one of the 39 air-conditioned rooms featuring minibars and flat-screen televisions. Complimentary wireless Internet access is available to keep you connected. Private bathrooms with showers feature complimentary toiletries and bidets. Conveniences include safes and desks, and housekeeping is provided daily.